Coffee, Tea and Pastries in the Great Room | Freshly made pastries, coffee and tea arrive in the Great Room at 6:30 every morning, catering to guests who want to wake up with the sun. Breakfast in the Granite Lodge | Enjoy hearty breakfast fare daily from 7:30 to 10 am in the dining room. 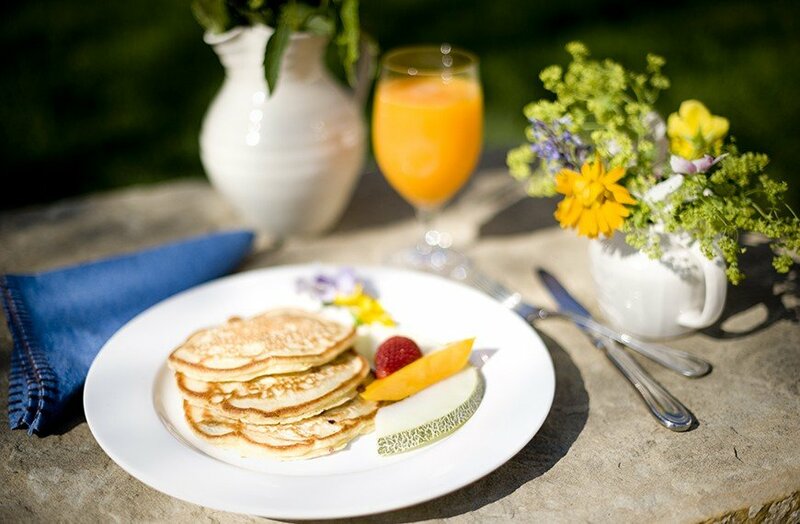 Ranch breakfast favorites, like our farm fresh egg scramble and lemon ricotta blueberry pancakes with a side of locally smoked bacon, give guests a jumpstart on their adventures. Breakfast in the Blue Canteen | In the warmer months, guests enjoy a casual and light fireside coffee shop-style breakfast in the bright, open-air Blue Canteen located in Camp Roosevelt. The breakfast bar often features pastries, granola and yogurt, fresh juices, coffee and tea in a rustic and relaxing environment. Lunch in the Granite Lodge | Refuel at lunch with Ranch cuisine in the dining room, between noon and 3 pm, every day in the winter, spring and fall. Opt for a grilled steak salad, sweet potato sandwich or tomato soup. The ever-changing menu features plenty of choices for all tastes and dietary needs. 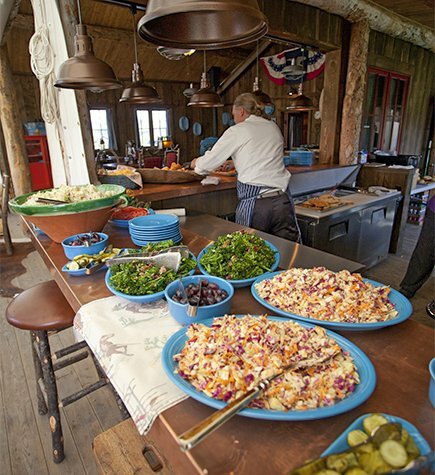 Lunch in the Buckle Barn & Blue Canteen | During the warmer months, the Buckle Barn does lunch fare cook-out style in the heart of Camp Roosevelt between noon and 2 pm. On Tuesdays and Saturdays, it is served in the Blue Canteen near the Camp Roosevelt Arena. Start your lunch with freshly-made warm chips and guacamole, then enjoy a grilled bison burger, fried chicken, seasonal salads and ice cold lemonade. Social Hour with Cocktails and Hors d’oeuvres | Gather in the Great Room for social hour at 5 pm. 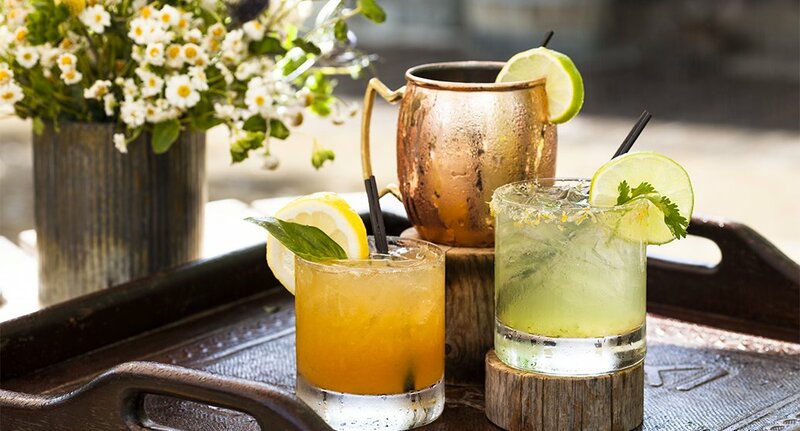 Each night our bartenders craft seasonal cocktails and recommend local beers that will whet your appetite for the meal ahead. Hors d’oeuvres are tailored to the dining experience that awaits. Chef’s Tasting Menu in the Granite Lodge | Traditionally served on Monday and Friday year-round. 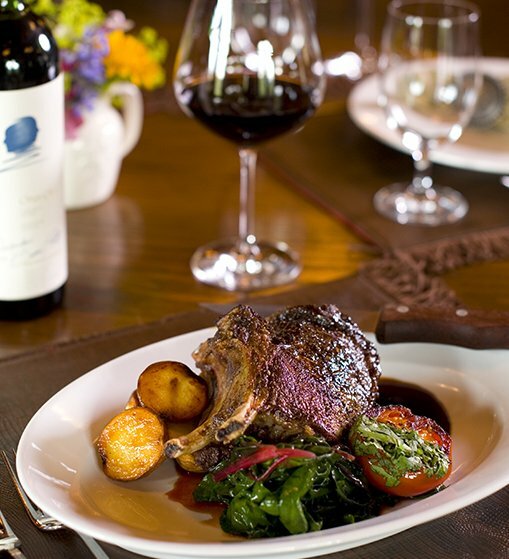 Enjoy a multi-course gastronomic tour of the ranches and farms of Western Montana with artfully paired wines. Sunday Dinners | Executive Chef Drage hosts Sunday dinners on the Flagstone or in the dining room in a style he’s been perfecting since his childhood in Alaska. Dutch ovens are filled with braised pork shoulder or a slow-cooked leg of lamb and cooked over a wood fire. Everything from potatoes gratin to seafood cioppino to apple crisp are cooked and served in this traditional Western way. Rodeo BBQ on the Buckle Barn Lawn | Snack on watermelon or Flathead cherries and drink brews and sodas while you enjoy the raucous excitement of our Tuesday summer rodeo. Then, join the cowboys and cowgirls for dinner. Ranch style recipes include barbeque ribs and chicken, beans, corn bread and blueberry cobbler. Northwest BBQ | Smell the scents of pecan wood wafting from our custom-built smoker as you enter the Granite Lodge for Tuesday dinner in the winter. Our Northwest barbeque features classic smoked meats served alongside fresh Pacific Northwest coastal flavors, like smoked oysters in Calabrian chili. Accompaniments are inspired by Dutch oven classics passed down to our chefs through the generations and served family style—so you can always reach for seconds. Nordic Frost & Fire | Gather at Bikini Beach for an evening of ice skating, Aquavit tasting, appetizers and camaraderie in the Gazebo. Take a twirl around the ice, followed by a hot beverage around a blazing fire. Western Classics | Relax in the Granite Lodge Dining Room with Ranch favorite comfort foods such as meatloaf and fried chicken. Followed by a classic western film starting at 9 p.m. in the Silver Dollar Saloon Theater. Homestead Supper Club | Executive Chef Josh Drage channels early 1900s Montana supper clubs, where every meal starts with a classic cocktail and feels like a celebration. Meet in the Great Room for drinks and hors d’oeuvres before being escorted to your table to try the freshest seafood and delectable cuts of meat, like Montana beef tenderloin with Dungeness crab, sauce Béarnaise, roasted potatoes and Brussels sprouts or sel gris and cracked pepper Montana rib roast. 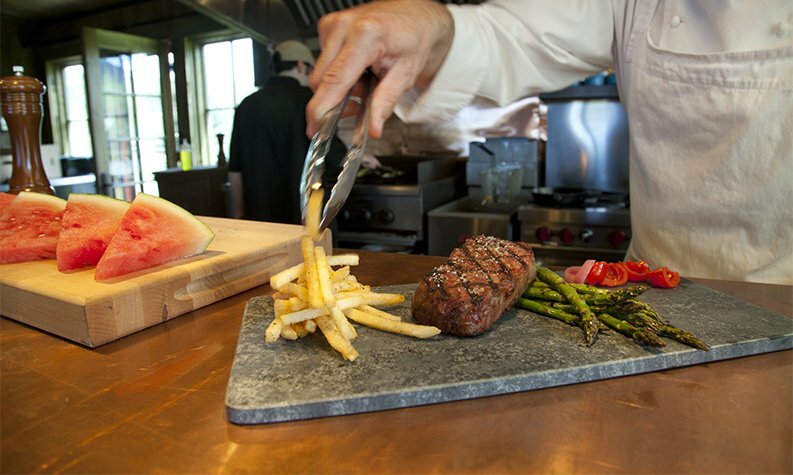 Chef’s Grill on the Flagstone | Step outside each Thursday in the warmer months for farm-to-table fare on the Granite Lodge flagstone. 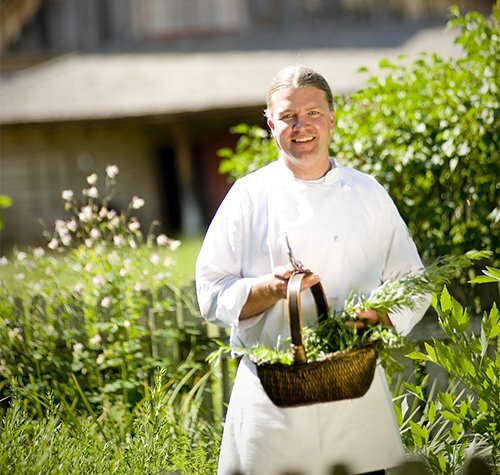 Talk with Chef Drage as he serves our season’s harvest in a combination of healthy, distinctive dishes with grilled flank steak and wild salmon in an outdoor setting. Montana Craft Beer Dinner | Beer connoisseurs will delight in our Thursday menu emboldened by Montana’s thriving brewery culture. Served in the spring, fall and winter, this multi-course meal features pub-influenced dishes served with epicurean élan. Courses might include honey mussels, a soup of Scotch ale and caramelized potatoes, beer-braised beef and pork, cast iron fried chicken, gnocchi and root vegetables. Each selection is paired with local beer or cider complementing the pallet during an inventive meal. Ranch Night in the Granite Lodge | Enjoy comfort food with a gourmet twist each Saturday. Refuel with organic beef meatloaf, cast-iron chicken and a brownie sundae for dessert. 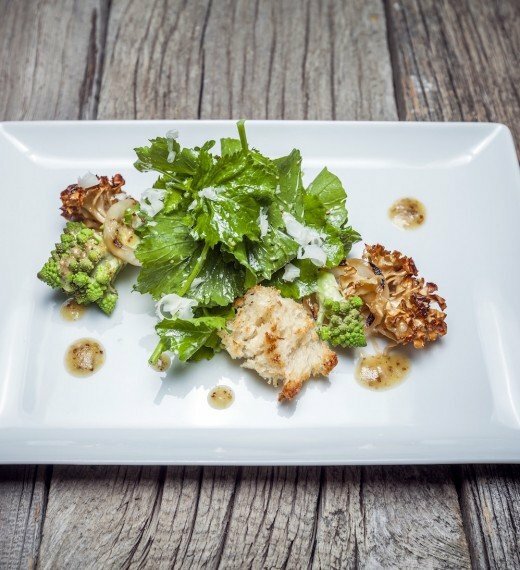 This dining experience is occasionally hosted in the beautiful new Buckle Barn. Overland Route Tasting Menu | Travelers called by the beauty of the Wild West disembark at the Granite Lodge Dining Room for a culinary journey that channels the cuisine of a historic luxury train car. Little Grizzlies Club Dinner in the Silver Dollar Saloon | As your taste buds explore the breadth of Ranch cuisine on Monday and Friday evenings, your children enjoy a meal with the Little Grizzlies Kids Club counselors in the Silver Dollar Saloon. 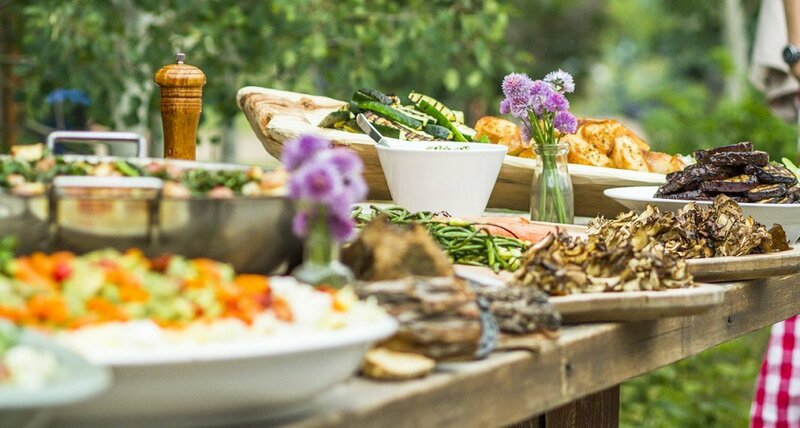 Tailored to a younger palette, the dinner with new friends may include Chef Drage’s little crowd-pleaser offerings such as macaroni and cheese, barbeque chicken and fresh vegetables with Ranch dressing. Also featured on Wednesdays in the summer.